ROMANCE BOOK PARADISE: Helen Lacey, Date With Destiny giveaway! 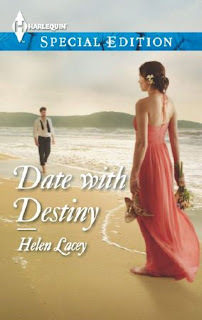 Helen Lacey, Date With Destiny giveaway! In my current release Date With Destiny, readers get to meet the hero’s sister and she is the heroine in what will be my fifth book for Harlequin Special Edition. After that there will be two more….and who knows what will happen then…the more characters I meet in these books the more inclined I am to want to give them their very own happy ending. And readers seem to want this too. It’s wonderful getting a reader email where they ask about a certain secondary character who has touched or resonated with them in some way. And I get this question regularly about a character called Mary-Jayne Preston…a free-spirited brunette who wears her heart on her sleeve and who somehow seems to pop up in every book and is yet to find her own happily-ever-after. But she will, I promise. Her story is planned for book seven and I am so looking forward to watching this character meet her match and fall in love. Whenever I read a book and discover and interesting secondary character I always look forward to discovering that this character is the hero or heroine in this author’s next book. I enjoy the familiarity, the sense of ‘coming home’ to people and places I’ve met before. And I’m always happy to hear from readers if there is a character they would like to read about in another book. Have you every wondered what happened to a certain character in a book you loved? Did they get their happy ending or perhaps their comeuppance? I have a copy of Date With Destiny to give away to one commenter. Financier Grace Preston did fourteen-hour days in New York City. She didn't do small towns in Australia. Not since she'd fled almost twenty years ago. But when a personal trauma sent her home-with a secret she couldn't reveal-the last person she needed was her first love. Local cop Cameron Jakowski had loved Grace for most of his life. But he wanted marriage and family and she didn't. He was small town, while she was big city-and lived half a world away. But for now she was right here-a walking, talking temptation. One he managed to avoid...until he made one mistake. He kissed her. And reawakened the passion that could change their lives...forever. To celebrate the release of Date With Destiny I have a copy to give away to one commenter. Congrats on your new contract, Helen! Nas, see you back here in September. Congrats on your new contract, Helen. I love when authors take a character from one book and make him/her the MC of another. It's so much fun seeing more of a character you loved. I like the idea of recurring characters and later books picking up on a minor character's story and running with it. It deepens the readers' connections to the story. Oh my, a town on a beach name Crystal Point? Yup. Have to visit there. I love it when you get so wrapped up in secondary characters and then the author pens out a novella or short story just to appease us hungry readers. Interesting secondary characters always add to the texture of a book. Congrats on that contract. That's wonderful. Nice to meet you, Helen. In regards to your question, I think it's a testament to the skill of the writer when a reader wonders if characters get a happy ending... or in the case of a not so likeable character, the comeuppance they so richly deserve. I always enjoy learning more about secondary characters- it adds a new depth to the storyline. Congrats on the new contract, Helen! 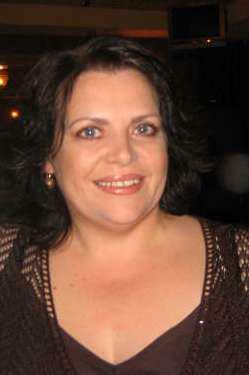 Hi Jess - thanks for the congrat's :) And for stopping by today. I want to read more about Grace and Cameron.